Not until nearly three years after the bombing of Pearl Harbor did Japan adopt suicide aerial attacks as official military strategy. 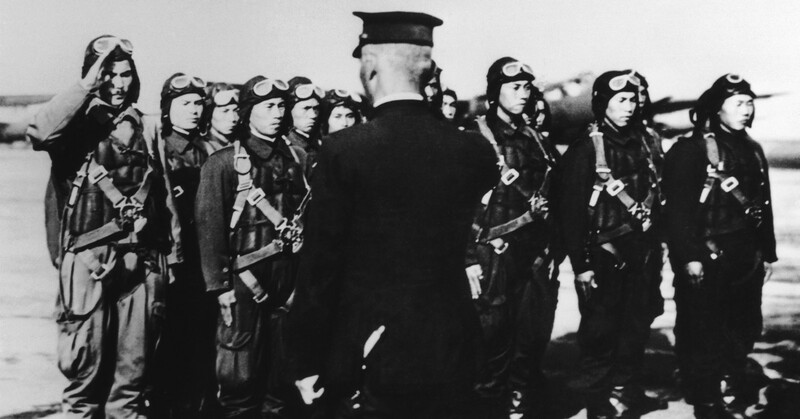 On the infamous morning of December 7, 1941, Japanese fighter pilots made final arrangements for their deaths. The aviators penned farewell letters and slipped them into envelopes along with locks of hair and clipped fingernails that their loved ones could use for their funerals. 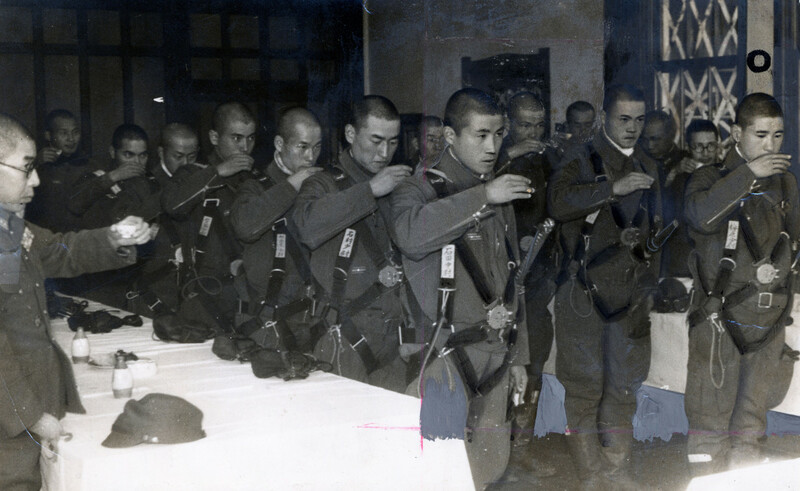 After a moment of prayer at makeshift Shinto shrines, the airmen shattered the silence with two sharp handclaps before downing ritual sake shots. 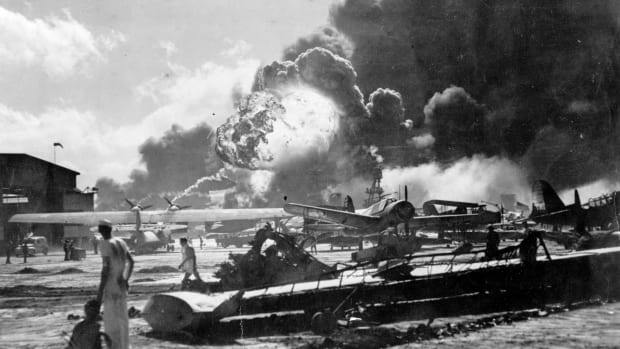 The Japanese pilots prepared as if their sneak attack on Pearl Harbor would be their final times in the cockpit. But they were not on a suicide mission. Fate would determine whether they lived or died. Hours later, Iida was strafing the Naval Air Station Kaneohe with gunfire when he suddenly smelled gasoline. A glance at the gauges of his Mitsubishi Zero confirmed his fears. Enemy fire had pierced his fuel tank. Using hand signals, the doomed pilot informed his comrades of his plight before waving good-bye. With his Zero hemorrhaging fuel over the American naval air station, Iida banked sharply and circled back toward its hangar, perhaps to implement the emergency plan he had discussed earlier. With no intention of being captured and no hope of a safe return to his aircraft carrier, the aviator might have been trying to inflict as much damage as possible upon the enemy by divebombing into the hangar. If that was the case, Iida overshot his mark and fatally crashed into a hillside. 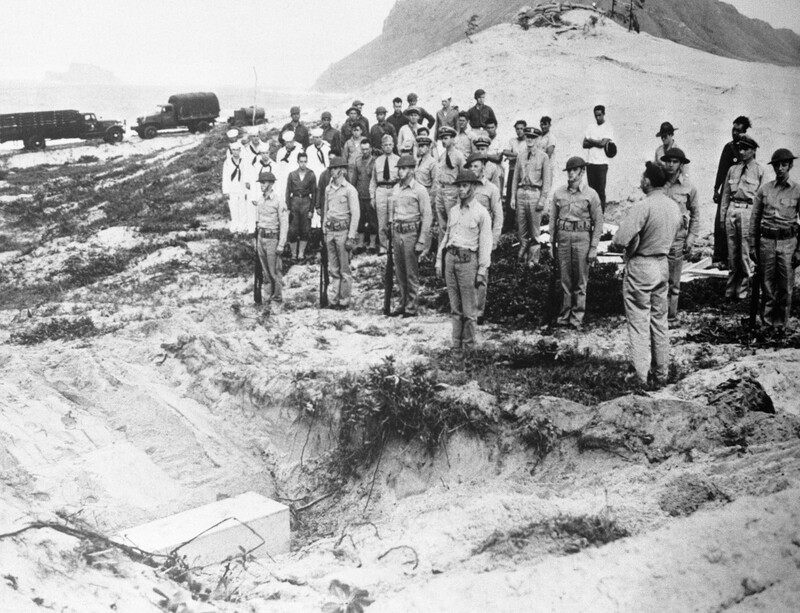 The burial of Japanese pilot First Lieutenant Fusata Iida at Pearl Harbor after his fatal crash. 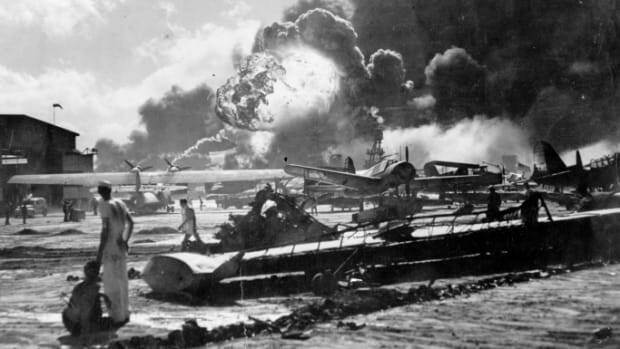 Japanese dive-bombers at Pearl Harbor were not kamikazes. 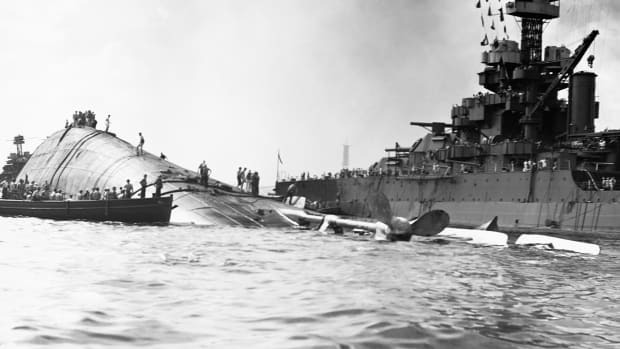 During the air raid, another crippled Japanese plane crashed onto the deck of the USS Curtiss. 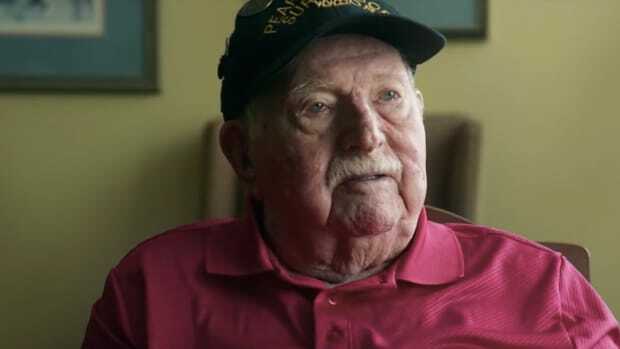 Although the Japanese pilots might have deliberately aimed for enemy targets after sustaining catastrophic damage, that was not the intention of their mission. Japanese pilots receiving last orders before bombing the American Pearl Harbor military base in 1941. Japan used kamikazes as a last-ditch effort. By the summer of 1944, the Japanese air force had grown short of skilled pilots, modern aircraft and fuel while American forces continued to press westward as they leapfrogged across the islands of the Pacific Ocean. The situation grew even more dire after the United States captured Saipan in July 1944, bringing the home islands of Japan within range of America’s new long-range B-29 bombers. Kamikaze pilots drinking a glass of sake before their attacks during the Battle of Leyte Gulf on December 10, 1944. Kamikazes appeared nearly three years after Pearl Harbor. 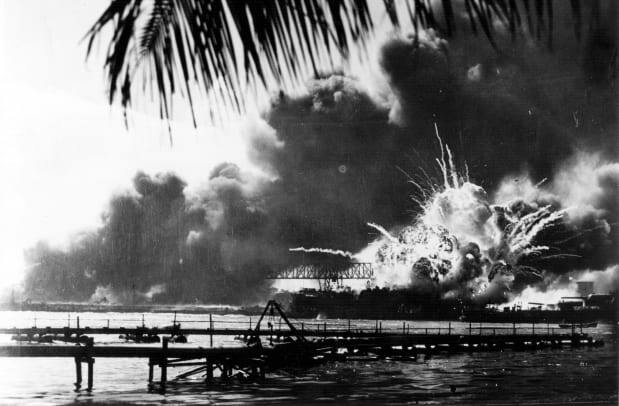 The new terror descended from the sky during the October 1944 Battle of Leyte Gulf. 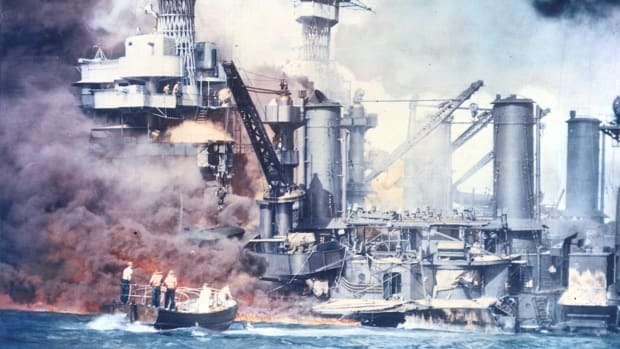 In this battle, kamikaze pilots, named for the legendary “divine wind” that twice saved Japan from 13th-century Mongol naval invasions launched by Kublai Khan, deliberately flew their jury-rigged Zeros into American warships. Beginning in the spring of 1945, the Japanese military also deployed specially designed rocket-powered planes called ohka (Japanese for “cherry blossom”) that were launched from bombers and directed toward enemy targets by kamikaze pilots. A Japanese suicide plane attacking the USS Missouri during the Battle of Okinawa 1945. 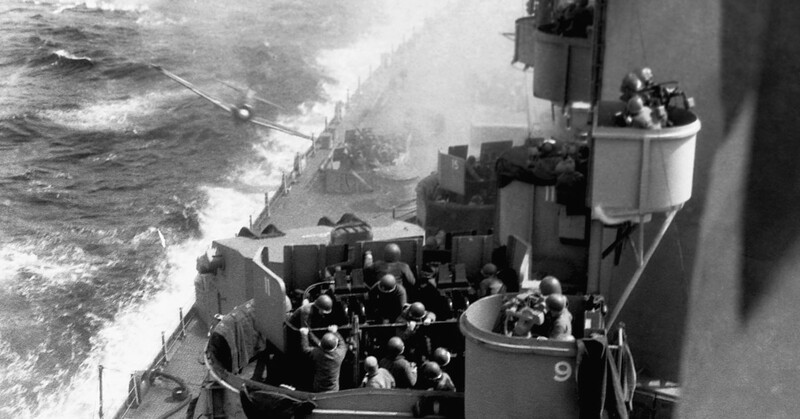 The use of kamikazes peaked during the bloody Battle of Okinawa, when suicide pilots swarmed American vessels. In one 80-minute span alone, more than 20 kamikazes targeted the destroyer USS Laffey, which managed to survive the assault. No divine wind, however, would save Japan from defeat in World War II as the United States continued to close in until the country surrendered unconditionally in August 1945.